Jacob Mercari is a proud authorized dealer of CanadaMark diamonds. This guide is meant to help understand the benefits of buying a loose diamond which is a part of this program. Canada is by value currently one of the top diamond producing nations in the world. Diamonds were originally discovered in Canada by Chuck Fipke and Stewart Blusson. Their initial discoveries in the 1980’s led to further exploration and later the discovery of the Ekati and Diavik diamond mines. 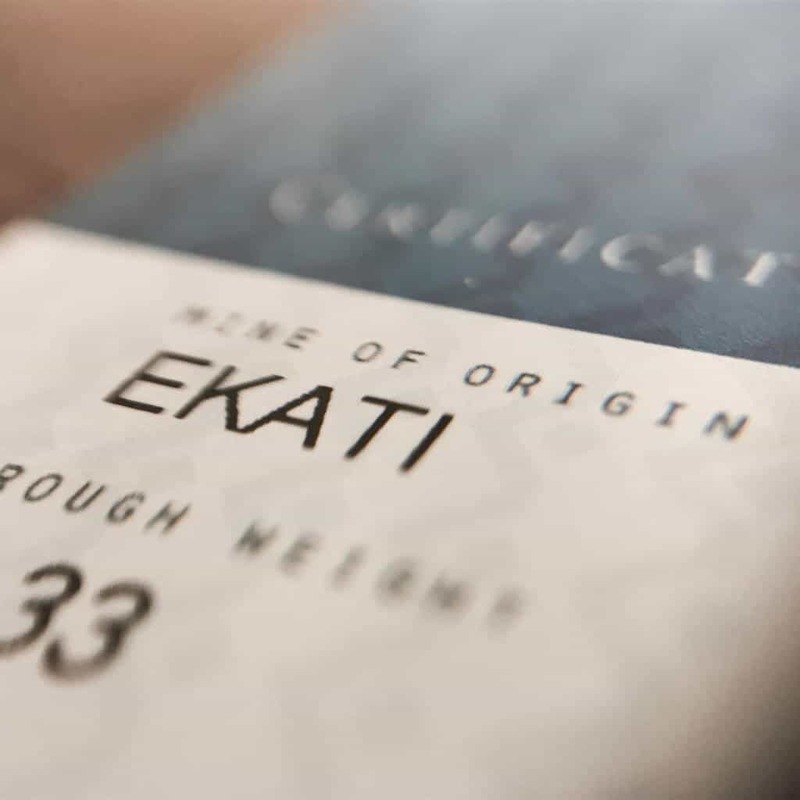 Ekati is Canada’s oldest diamond mine. Diavik is the fourth largest diamond mine in the world by value. These two mines are the origin point of all CanadaMark diamonds. All polished diamonds from this program will come from either of the two mines. The quality of the crystals from these mines is very high. 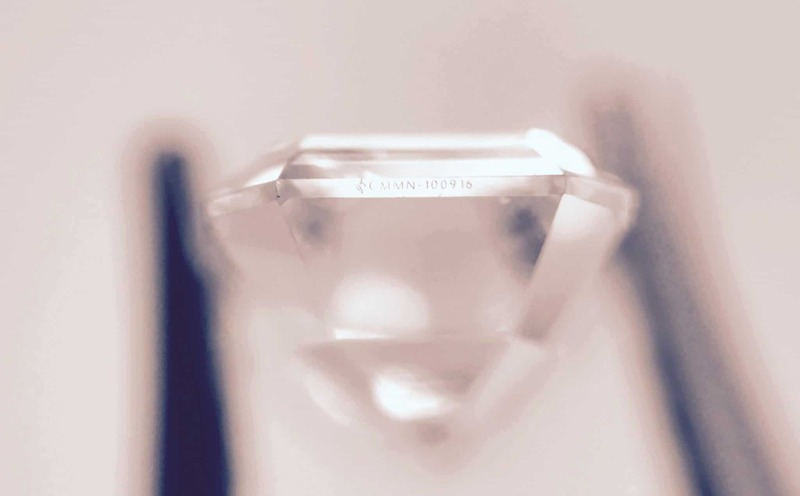 This means higher quality diamonds with better colour and clarities. There will still be a large range, but the average quality is above the quality found in other diamond mines located around the world. The CanadaMark diamond certification is the strictest auditing program for Canadian loose diamonds in place in the diamond industry today. The CanadaMark diamond brand is owned and operated by Dominion Diamond Mines. Diamonds are tracked directly from the miner, to the certified manufacturer, then to the retailer until it reaches the consumer. This ensures the loose diamond is of Canadian origin and can be traced. The unique benefit of this program is the transparency. As Dominion owns the CanadaMark brand, they have a vested interest in making sure the chain of custody is extremely strong and accurate. The more open and clear the tracing is, the better the brand looks. Thus, the incentives are in the right place to insure the program is run properly by the miner. The Canadian loose diamond will have a laser inscription on its edge, known as the girdle, in order to track the diamond. This laser inscription will correspond to the accompanied CanadaMark card. The laser inscription number will be written clearly on the front of the CanadaMark card along with the rough weight, polished weight and mine of origin. On the back of the card, you will find a guarantee of origin. The guarantee will also mention the diamond is natural and untreated. This information can be verified directly with the miner by visiting the CanadaMark website and typing in your unique serial number listed on the front of the card. Below is an example of an inscription found on the girdle of a diamond. This program ensures all parties are accountable. It certifies the consumer gets a conflict-free, Canadian origin diamond. The measures put in place protect the manufacturers and retailers by providing a transparent and easy way to know for sure where a given loose diamond has come from. It is very easy to say a given diamond is from a certain location. It is entirely another story to actually show proof and be accountable. Buying a diamond from this program is the sign of trust. It provides the consumer with peace of mind that they have chosen a diamond of integrity. The CanadaMark program supports Canada! Another excellent reason to choose a diamond for a beautiful custom engagement ring that is part of the CanadaMark program is that it will benefit local communities in Canada, support many local jobs and promote Canada as one of the world’s leading diamond producing nations. The Ekati and Diavik mines are run at a very high level to comply with all regulations and promote a safe and healthy work environment. This is a Canadian program that benefits the Canadian people. CanadaMark diamonds are available in all shapes and sizes. We carry round brilliant cut, emerald, oval, heart, radiant and every other diamond shape. Quality and size ranges from D Flawless to J I1 on average. We have had fancy yellow diamonds in our stock as well. Fancy colours are very rare. All of our Canadian loose diamonds are GIA certified for accurate and reliable grading. The majority are of the highest possible cut grade. Mainly none to faint fluorescence. For a more accurate and up to date listing, it is best to call or email us. We carry a large selection of CanadaMark certified Canadian loose diamonds. We have a variety of shapes and sizes on hand. Please contact us to see for yourself! We are also happy to answer any questions you may have regarding the program. Our offices are located in downtown Toronto, Canada.